The ET120 C4D Headstage is designed for capillary electrophoresis (CE). It must be connected to the ER225 C4D Data System, ER815 C4D Detector or ER825 C4D multi-channel Detector. 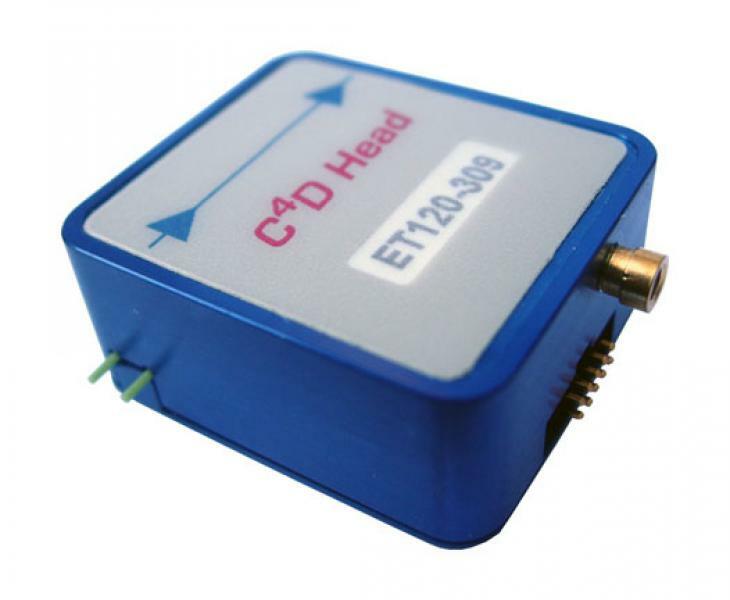 The C4D Head contains a pair of cylindrical electrodes which act as the transmitter and receiver for an AC waveform signal provided by the C4D hardware unit. 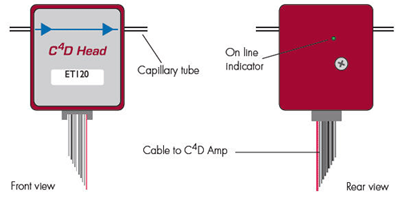 The capillary tubing passes through the C4D headstage and the pair of electrodes as shown in the figure below. The ET120 can be used with background electrolytes that have a conductivity of between 20 and 3200 µS/cm, depending on the inner diameter of the capillary being used. The model ET120 is compatible with capillaries with an outer diameter of 350-385 µm.